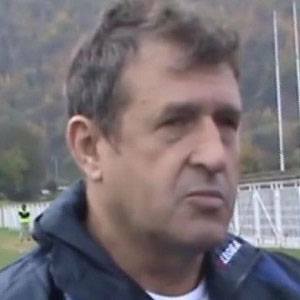 Soccer manager who has coached the Bosnian national team as well as local clubs like Ankaraspor AS. He was a dominant player, being named as the greatest Bosnian player of all time at the UEFA Jubilee Awards. He played for FK Krivaja at the city of Zavidovici, where he grew up. France Football Magazine named him as the best foreign player ever to play in Ligue 1. His brother Sead and nephew Tino-Sven are also professional soccer players. He managed Emir Spahic at the 2014 FIFA World Cup.